Indian cricket team's opening partnership of Rohit Sharma and Shikhar Dhawan has been a major asset across various One Day International (ODI) series. 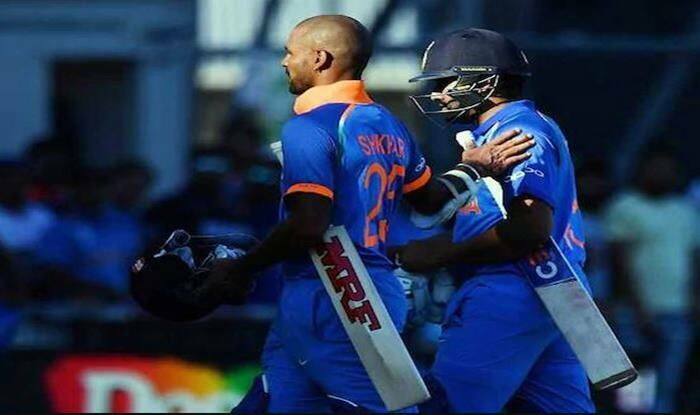 Indian cricket team’s opening partnership of Rohit Sharma and Shikhar Dhawan has been a major asset across various One Day International (ODI) series. The duo has bolstered the Men in Blue and led the side in examplary fashion. They are also the highest aggregators of runs in ODIs from the opening position. Rohit and Shikhar have formed a dominating partnership and a force to be reckoned with. The duo famously scored 210 runs against Pakistan while chasing a score of 238 in the Asia Cup 2018 tournament. They have registered themselves as the 4th highest run-getter as opening partners and recorded a score of 4,289 runs in 94 matches since 2013. The duo are in fact the ‘jodi no. 1’ for India in the limited over matches and this dates from long back – celebrating the bond, Dhawan shared an adorable post on his social media. The batsman posted a recent photo and an old picture to reminisce on the memories. “Partners in crime! Jodi no.1.” He also mentioned in Hindi in the picture “Raano ka Jod hain tootega nehi” (it’s a partnership of runs, wonr break), he captions the post. The pair will be on show once again in the fourth ODI match against New Zealand tomorrow, where they have displayed a great show so far. Clinical India will aim to maintain their winning streak when they take on hosts New Zealand in the fourth contest of the five-match rubber at the Seddon Par. The Indian team has already taken an unassailable 3-0 lead and will now be led by stand-in skipper Rohit Sharma as Virat Kohli has been rested for the last two matches. The recently concluded bilateral series against Australia and the ongoing limited over series against New Zealand have been a great platform for the Men in Blue to get the preparations running ahead of the upcoming ICC 2019 cricket world cup.